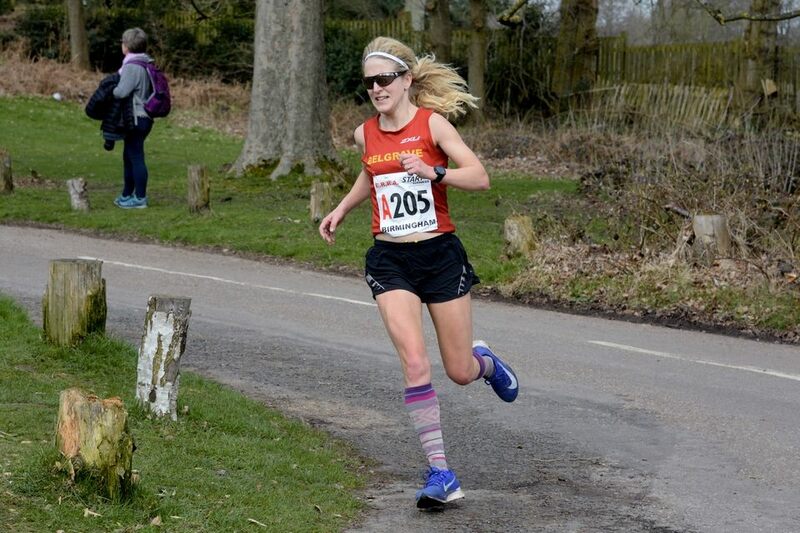 An account from our team manager from the relays on what I would describe heavy legs, I set the Belles off on the first, one of the two tough long stages of 5.38 miles on this year’s National road relay. Not feeling 100% and although battled courageously a minute or so slower than expected when handing over to Saron Haileselase in 25th place on stage two. Although having two long stages normally tends to suit the strong distance runners in the Belgrave team, the problem is, that after the first stage, the gaps between the teams are already massive. So although Saron picked up seven places in her leg, she felt that if she had not been so isolated she could have run even faster. As it was she finished 9th fastest short stage of the day, the Belles strongest performer. Georgie Fenn took over for the next short stage, a little sharpener before her London Marathon race the following week. Georgie had a very good run, she passed another four runners, was 6th fastest on her stage bringing the team home in 13th position. What a fine prospect she is. Mhairi Hall agreed to take leg four, the next long stage, at very short notice after Sophie Harris wisely decided not to run after feeling unwell. Mhairi ran another very courageous leg in a very good time. Mhairi gave absolutely everything up to the last hill, so much so that she had to be helped by the St John Ambulance after she finished. What a reliable and excellent team member she has been all year. Lizzie Goldie-Scot has found it difficult to train quite as consistently this year what with the demands of her job and injury setbacks. However, she has still supported the team and had a good solid run here on another very isolated leg. She gained one place so that after five stages and without a sixth runner, the Belles were in 15th position out of a total of 48 National teams, a very creditable performance. Incomplete; Belgrave: S. Amend 33:25 (long) 25th, S. Haileselase 17:55 (short) 17th, G. Fenn 18:49 (short) 13th, M. Hall 35:04 (long) 16th , L. Goldie-Scot 21:07 (short) 15th. LONG; 1. T. Barlow (THH) 29:07, 2. S. Stockton (Leeds) 29:22, 3. A. McGlynn (THH) 29:39.